Windows operating system has now advanced to its most attractive and user-friendly version Windows 10. This version has many captivating features for daily routine professional works. Skype for meetings and contacts, Cortana reminders for important tasks, taskbar calendar for scheduling and reminding important fixtures, and features like linking smartphones for receiving text messages and notifications on your desktop. 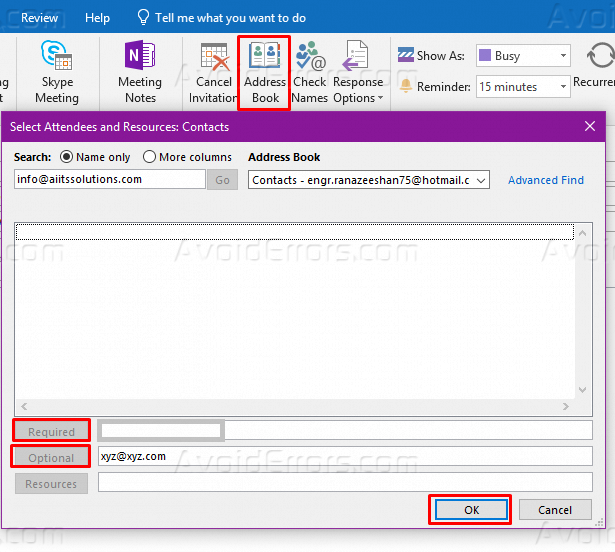 In addition to the above-mentioned tools, you can use Microsoft Outlook 2016 tool to send invitations for a meeting. All the related members, focused or optional, would be invited for the meeting on a single click from the registered Microsoft Outlook 2016. This feature has alleviated the hectic way of sending individual emails to call up for a meeting. What you just need to do is to follow the below steps. 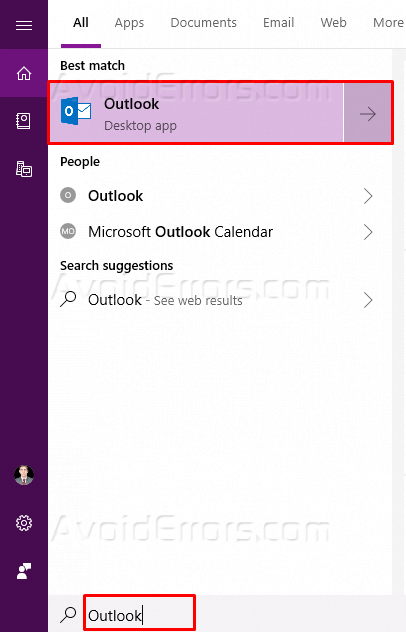 Click on the Start Menu, and type Outlook in the search bar and open the app. 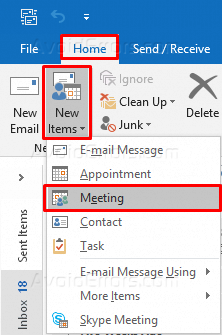 In the Outlook window, click on the Home button at the top right and then look for a Calendar icon at the lower left of the screen. Click on New Items and select Meeting. Click on Appointment at the top right of the new window. Fill up, Subject, Location options as shown in the images. You can also add addresses that are stored in your address book by clicking on Address Book and segregate them into Required or Optional ones. Now select the Start Time and End Time according to the meeting plan or you may mark the meeting as All day event. Write your meeting invitation body in the vacant space. Set Response Options from top panel and mark Request Responses. It will give Accept or Decline option to the receiver as a compulsory response. 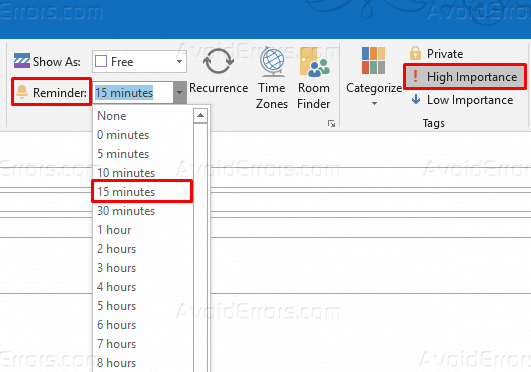 Set reminder time from top by selecting Reminder and check for High Importance. Click at Send and it’s all done. Meeting invitation would be in your email Sent Items.